Welcome to the beautiful lush forestry of Alpine Ridge located in Sevierville, Tennessee. While in the area we at SMBYO.com suggest you check out the Little Pigeon River. The breathtaking Little Pigeon River is known for the beauty of the area surrounding it and is one of the best places in the area to fish for smallmouth bass. If your looking for a little more excitement on your vacation check out Adventure Ziplines. Adventure Ziplines offers a plethora of fun adrenaline pumping activities! Hook up to the cables and zip across the treetops while enjoying the breathtaking scenery! Adventure Zipline also offers guided horseback riding on rugged trails through the mountains and valleys in the area. Bluff Mountain Adventures rents out all-terrain vehicles and allow guest to take them out on the trails for a day filled with gorgeous scenery and breakneck speed! Alpine Ridge is also in proximity to both Pigeon Forge and Gatlinburg and the many exciting activities that both of those areas offer. 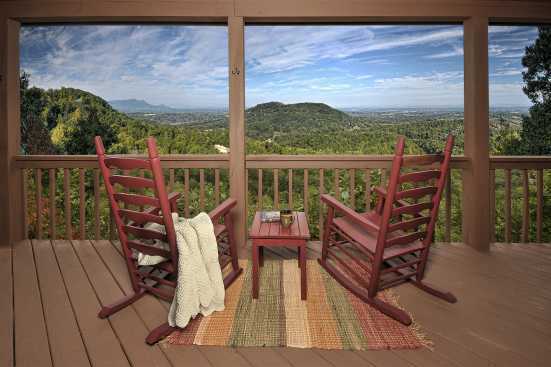 Smokymountainsbyowners.com is the best and most efficient way to find, plan, and book your vacation rental property in Eastern Tennessee. SMBYO.com aims to take the hassle and stress out of planning and booking your vacation rental property, so all you must do is decide if you want to check out the adrenaline pumping ziplines or the calming nature of the Little Pigeon River first! Book now, adventure and relaxation are around the corner!